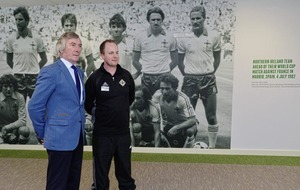 If the hand fits... Pat Jennings at the official opening of the Irish FA Education and Heritage Centre at Windsor Park. Video: What does Arsene Wenger's handshake with Alexis Sanchez really mean? 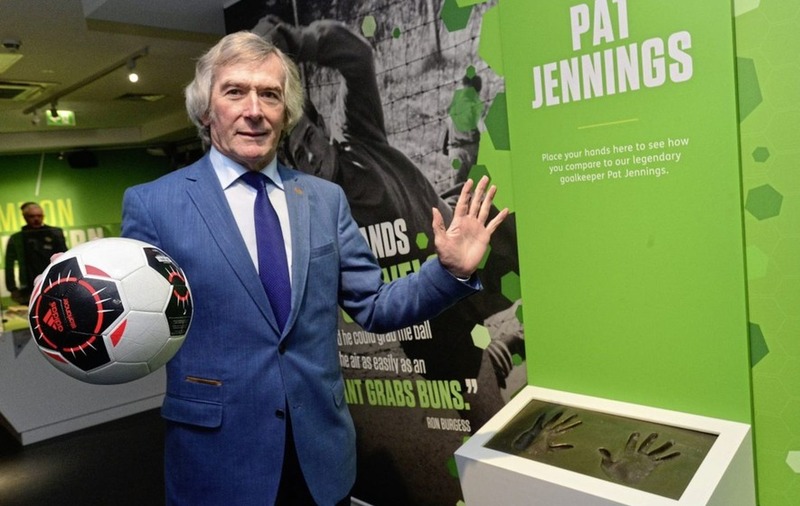 THE location of Pat Jennings's memorabilia indicates where his heart lies. "All my stuff is on display at Tottenham, there are about 10 cases of stuff there." Well, he says 'all'. "My FA Cup medal from '79 against Man U is in the museum at the Emirates and the big silver tray for being the first player to play 1000 first class games, and a shirt from the Cup Final. 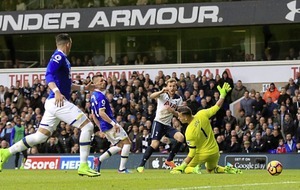 "But most of my stuff is in the Pat Jennings Lounge at Spurs – and I've quite a bit in the attic at home, as you can imagine." He's prepared to loan his collection to the new Irish FA Education and Heritage Centre at Windsor Park, which he helped to officially open, saying: "Ideally I'd like to move the whole lot, it'd be a pity to break it up." "Well, we keep saying that every year. Last year we were in a great position then lost a bit of discipline at the end, got involved in stuff we never should have got involved in. 2-0 up at Chelsea and finish up drawing the match. Then Newcastle, disaster [losing 5-1 to 10 men]." "I wouldn't think so. He's done a great job getting all our big young players onto long-term contracts. I don't think he would walk out on Tottenham with them having committed themselves to him and the club. "He's an absolutely brilliant manager, has done a great job, tying everybody together at the club, there's a fantastic atmosphere around the club… Hopefully there's only one way we're going to go and that's up." 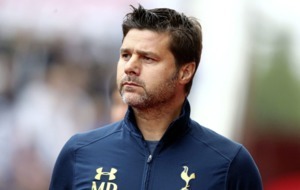 The 'we' needs a little explanation, but not much: "I was 14 years as a player at Tottenham and I'm on the coaching staff, still there after 23 years, so there's no doubt where my loyalties lie. "I can never have a bad word to say about Arsenal, they were brilliant to me, gave me two four-year contracts, I played more than 300 times for them. Arsenal is a brilliant club - but Tottenham are my team".